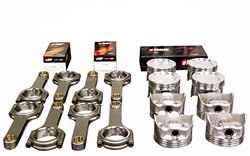 Flat Top inline -3cc pistons, for use with most stock and aftermarket heads (not Twisted Wedge). Have D.S.S. contact me and consult on Compression ratio options. 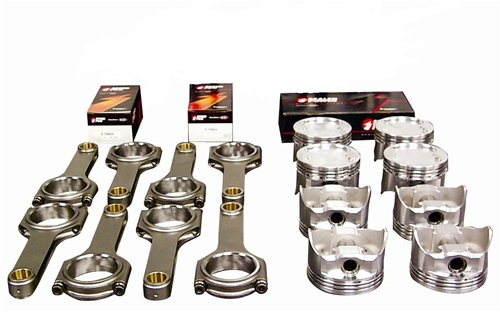 351W Ford piston and rod kit with DSS GSX Forged pistons with X groove skirts and CNC fly cut valve reliefs and 4340 H beam rods. Also included are Ductile Iron, Moly rings and tri-metal rod bearings. Dish -24cc (4V) 9.57 9.45 9.33 9.22 9.11 9.00 8.